The last 11 seconds of the game were the hardest to watch. Pitsulala Lyta, standing on the sidelines, held her breath while she watched her son Brandon’s football team capture the league championship last month. 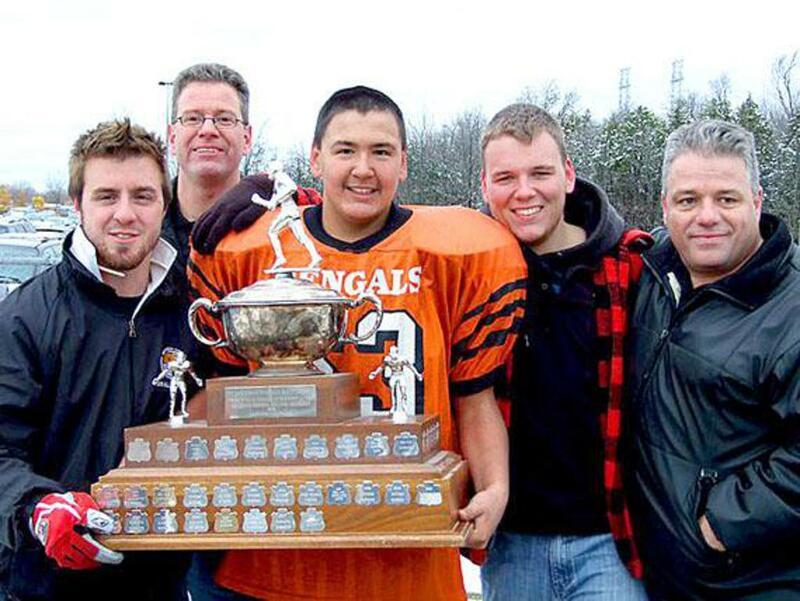 Brandon Lyta, 13, plays defence for the Orleans Bengals (Peewee division), one of 15 teams that make up the National Capital Amateur Football Association from eastern Ontario and western Quebec. On Oct. 31, Brandon helped lead his team to the group’s first A Cup championship in 20 years, beating the Bell Warriors 36-24. And his mom couldn’t be prouder. The Bengals started the season with two losses, says coach Dennis Prouse, but pulled together and won the next nine consecutive games in a row. Prouse describes Brandon as a skilled and passionate football player. “This is the kind of player that this program is designed for,” said Prouse, who has coached football for 20 years. “No matter time I arrive at the field, Brandon is always there before me. Brandon was born and raised in Montreal until the Lytas moved to Ottawa about six years ago. Lyta said her son only started playing football last year, but something immediately clicked for him. “He loved it right away, I think it’s sparked an interest for life,” she said, adding that Brandon looks forward to playing college football. Lyta has talked about moving back north, but Brandon doesn’t want to leave his football program in Ottawa.